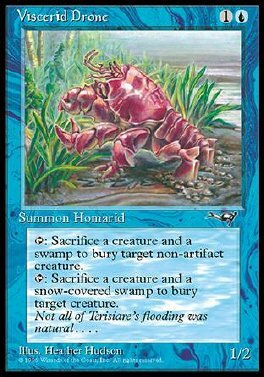 T, Sacrifice a creature and a Swamp: Destroy target nonartifact creature. It can't be regenerated. T, Sacrifice a creature and a snow Swamp: Destroy target creature. It can't be regenerated.